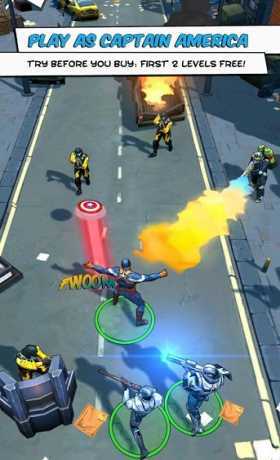 Play as Captain America and lead your S.H.I.E.L.D. Strike Team as they struggle to contain a massive attack on the World by several nefarious crime organizations. Stop the attacks and then take the battle to your enemies. 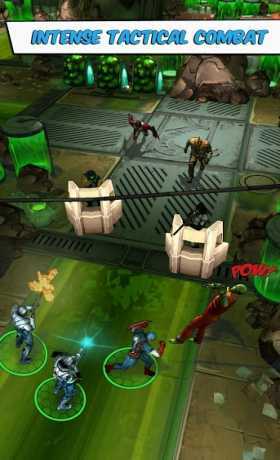 Captain America must use all his tactical skill as he commands his Strike Team to combat threats on every front. 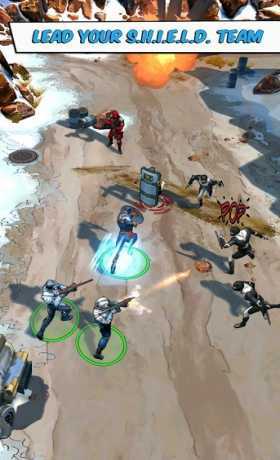 Grow your agents into a potent fighting force and when the odds are against you call in Black Widow and Falcon to help turn the tide. Expose the villains behind these brazen attacks, unravel their plans and discover how the Winter Solider fits into the scheme. Captain America: The Winter Soldier requires an Internet connection. > Engage iconic Marvel villains like King Cobra, Taskmaster, Puff Adder Winter Soldier and more. > Asynchronous multiplayer : Join a Clan and battle rival players!